Donna Lee Davis, 84 of Boise passed away on September 7, 2018 at a Boise care center. Donna was born on a farm in Lenora Kansas on October 4, 1933 to Bert and Ester Allen. She lived there with older brother Richard and younger sister Roberta until moving to Nampa Idaho in 1944 when Bert sold their farm and took a job with the Union Pacific Railroad. Donna married Jack Davis of Caldwell Idaho in 1955. It was in Caldwell where they raised their family which included daughters Angela, Nancy and Deanne, and sons Jack, Kevin and Steven. Donna lived most of her life in the Caldwell area, however spent approximately 10 years in Anchorage Alaska with daughter’s Angela, Deanne and extended family. 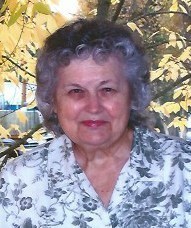 Donna who was affectionately known by all as “Grandma Donna” was a loving mother, grandmother and great-grandmother. Donna enjoyed interacting with everyone she met and was an extremely accepting person who greeted all with a smile, laughter and an open heart which brightened everyone’s day even during the toughest of times. Donna was a fantastic cook and well known for her dessert specialties which included pies, cakes and various confections. Grandma Donna will be missed by all who knew her. Donna is survived by her daughter Nancy and husband Steve Orcutt of Boise, sons Jack and wife Cheryl Davis of Boise, Kevin Davis of Boise and Steven Davis of Portland Oregon, grandchildren; Corey and wife Cindy Tropf of Bartlesville Oklahoma, Ryan Gugelman of Meridian Idaho and Adam Gugelman of Woodbridge Virginia along with numerous grandchildren, great-grandchildren, nieces and nephews. Donna was preceded in death by her parents Bert and Ester Allen, sister Roberta Hicks, husband Jack Davis and daughters Angela Davis and Deanne Silba. A funeral service will be held at 10:00 am, Monday, September 17, 2018 at Bowman Funeral Parlor, 10254 W. Carlton Bay Dr. in Garden City, with visitation beginning at 9:30 am. A celebration of life will be held at the home of Nancy and Steve Orcutt following the service. A private committal will be held at Cloverdale Memorial Park in Boise.